Are you looking for some loosely planned activities to do with your little? How about ones based on the alphabet? I don’t recall what prompted me. If it was something on Facebook, Pinterest or just my own brilliant thinking J but I got it in my head that I should start planning specific daily activities to do with little M rather than just winging it. Which is mostly what I’ve been doing during my leave from work and time at home with her. I say mostly because we do participate in scheduled activities like swimming and gymnastics but while at home it’s been kind of a free for all. Even with the knowledge that my little may still be too young to really grasp the concept of the alphabet (she’s really good with identifying colours) I’ve started planning an alphabet based weekly activity plan. My plan is to schedule daily activities based on select letters covering two letters each week. I’ve created a printable to help me keep my ideas organized but since it’s still a work in progress I won’t share it until I feel its worthy of being posted J. Based on my brainstorming ideas I selected some activities. I’ll list what we did below. Last week we did the letters A and B.
Monday we had some apple pie and read Ten Apples on Top. Tuesday we coloured airplanes and made paper airplanes. Wednesday we finger painted ants (well I painted ants while she made a mess, lol), and sorted buttons. Thursday we moved to the flight of the bumblebee, blew bubbles and made banana bread. Friday we searched for teddy bears and had burgers. 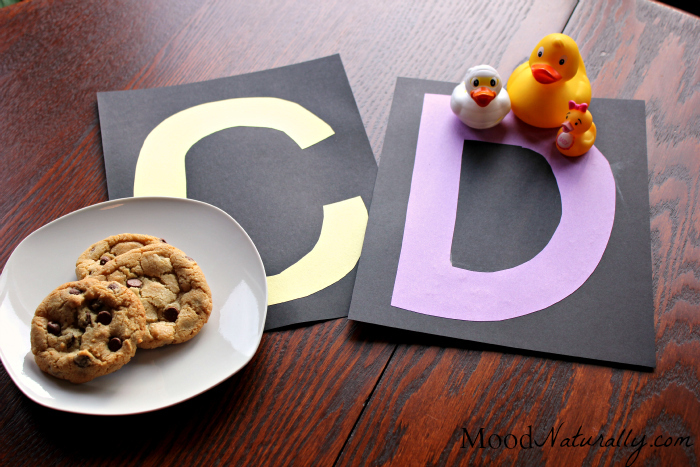 This week we did the letters C and D.
Monday we planned on looking at clouds but to my surprise there were none, we also read The Very Hungry Caterpillar. Tuesday we made chocolate chip cookies, and made a card for dad that we coloured with crayons. Wednesday we sang songs about ducks while playing with rubber duckies. Thursday we played drums and danced to drum music. Friday we ate donuts and decorated construction paper donuts. -Although she liked the pie, cookies and banana bread I think she preferred helping mix the ingredients to actually eating them. When it comes to sweets she was much more fanatical about Halloween candy last month. -I think we’re both enjoying having activities planned for each day. It’s only been a couple of weeks but I’m definitely going to keep this up. -She is not quite ready for the alphabet but I know she’s a sponge and taking in everything I’m trying to teach her. It will click one day. Have you planned this sort of thing to do with your little? How did you organize the activities (like I did by letter)? 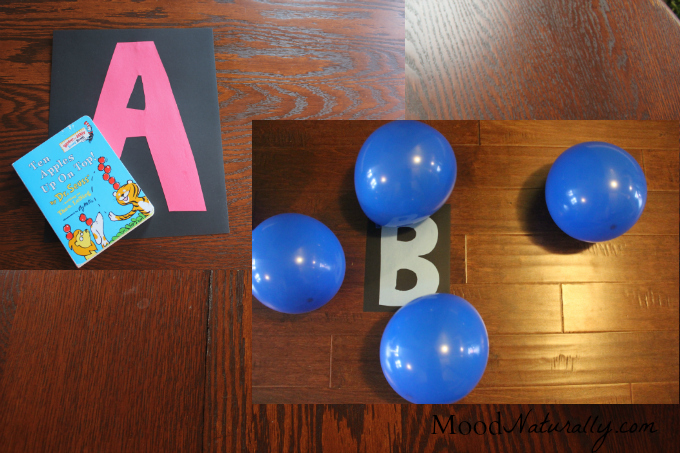 Do you have any other ideas for activities to do for the letters A and B or C and D?